(to Dumbledore) Liar! There is nothing worse than death! (to Dumbledore) You've lost, old man! Bellatrix Lestrange: [Laughing] I killed Sirius Black! Kingsley Shacklebolt: [After Dumbledore disappears with Fawkes] You may not like him Minister, but you can't deny it. Dumbledore's got style. Rubeus Hagrid: It’s changing out there. There’s a storm coming, Harry... just like last time. Severus Snape: In the past it was often the Dark Lord's pleasure to invade the minds of his victims, creating visions designed to torture them into madness. Only after extracting the last exquisite ounce of agony, only when he had them literally begging for death would he finally... kill them. Sirius Black: [After Harry attacks Lucius Malfoy] Nice one, James! The Prophecy (Professor Trelawny's voice): The one with the power to vanquish the Dark Lord approaches and the Dark Lord shall mark him as his equal but he shall have power the Dark Lord knows not. For neither can live while the other survives. Mrs Figg: Well one of them was very large, and the other rather skinny. Cornelius Fudge: Not the boys, the Dementors. Mrs Figg: Alright, right, well um, big. Cloaked. Then everything went cold, as though all the happiness had gone from the world. Cornelius Fudge: Now look here, Dementors don't just wander into a muggle suburb and happen across a wizard, the odds are astronomical. Dumbldore: That would be disturbing indeed, madame Under-Secretary, which is why I'm sure the Ministry will be mounting a full-scale inquiry into why the two Dementors were so far away from Azkaban and why they mounted an attack without authorization. Of course, there is someone who might be behind the attack. Arthur Weasley: This is very, very peculiar. It seems that your hearing at the Minstry is to be before the entire Wizengamot. Lupin: Exactly the point, Fudge isn't in his right mind. It's been twisted and warped by fear. Bellatrix Lestrange: [Laughing] I killed Sirius Black! You coming to get me? Voldemort: [Inside Harry's head] You've got to mean it Harry. She killed him, she deserves it. You know the spell, Harry. Cho Chang: What are Nargles? Dumbledore: Cornelius, I implore you to see reason. The evidence the Dark Lord's return is incontrovertible. Cornelius Fudge: Laws can be changed if necessary, Dumbledore! 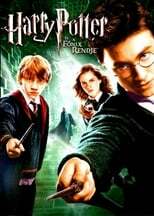 Dumbledore: Clearly, it has become practice to hold a full criminal trial to deal with a simple matter of underage magic. Amelia Bones: Those in favor of conviction? Amelia Bones: Those in favor of clearing the accused of all charges? Cornelius Fudge: [Reluctantly] Cleared of all charges! Dumbledore: No the fault is mine! I knew it was only a matter of time before Voldemort made the connection between you. I thought by distancing myself from you, as I have done all year, he'd be less tempted and therefore you might be more protected. Harry: The prophecy said: neither one can live for the other one survives. It means one of us has gonna have to kill the other...in the end?